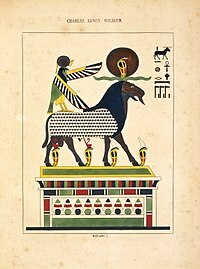 Amunet is a primordial goddess in ancient Egyptian religion. 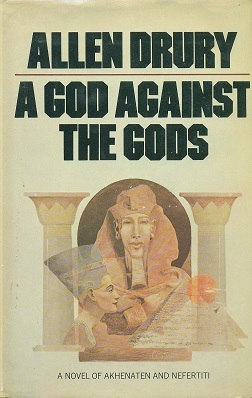 Meretseger was a Theban cobra-goddess in ancient Egyptian religion, in charge with guarding and protecting the vast Theban Necropolis — on the west bank of the Nile, in front of Thebes — and especially the heavily guarded Valley of the Kings. Her cult was typical of the New Kingdom of Egypt. The Karnak Temple Complex, commonly known as Karnak, comprises a vast mix of decayed temples, chapels, pylons, and other buildings near Luxor, in Egypt. 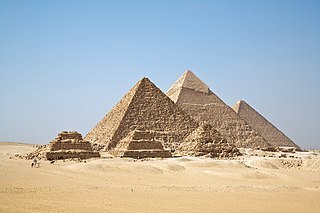 Construction at the complex began during the reign of Senusret I in the Middle Kingdom and continued into the Ptolemaic period, although most of the extant buildings date from the New Kingdom. The area around Karnak was the ancient Egyptian Ipet-isut and the main place of worship of the eighteenth dynasty Theban Triad with the god Amun as its head. It is part of the monumental city of Thebes. The Karnak complex gives its name to the nearby, and partly surrounded, modern village of El-Karnak, 2.5 kilometres north of Luxor. Pinedjem I was the High Priest of Amun at Thebes in Ancient Egypt from 1070 to 1032 BC and the de facto ruler of the south of the country from 1054 BC. He was the son of the High Priest Piankh. However, many Egyptologists today believe that the succession in the Amun priesthood actually ran from Piankh to Herihor to Pinedjem I.
Usermaatre Setepenamun Osorkon III Si-Ese was Pharaoh of Egypt in the 8th Century BC. He is the same person as the Crown Prince and High Priest of Amun Osorkon B, son of Takelot II by his Great Royal Wife Karomama II. Prince Osorkon B is best attested by his Chronicle—which consists of a series of texts documenting his activities at Thebes—on the Bubastite Portal at Karnak. He later reigned as king Osorkon III in Upper Egypt for twenty-eight years after defeating the rival forces of Pedubast I/Shoshenq VI who had apparently resisted the authority of his father here. 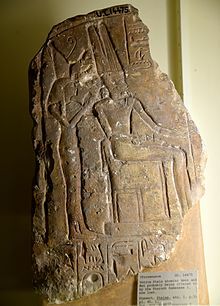 Osorkon ruled the last five years of his reign in coregency with his son, Takelot III, according to Karnak Nile Level Text No. 13. Osorkon III's formal titulary was long and elaborate: Usermaatre Setepenamun, Osorkon Si-Ese Meryamun, Netjer-Heqa-waset. Deities depicted with horns or antlers are found in many different religions across the world.